I could watch that chest heave forever. I'm glad to see PeplumTV has access to widescreen prints, because for years there were only faded pan-and-scan versions of a lot of these films, which is good because we don't want to miss a single chest hair, do we? Or a heaving crotch shot, either. I think that Roman Consul had another sword in mind? 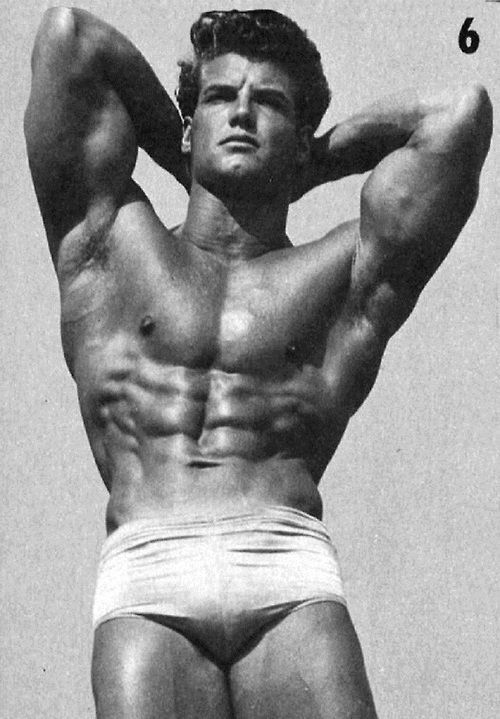 "Building The Classic Physique" by Steve Reeves is available on ebay for $300. 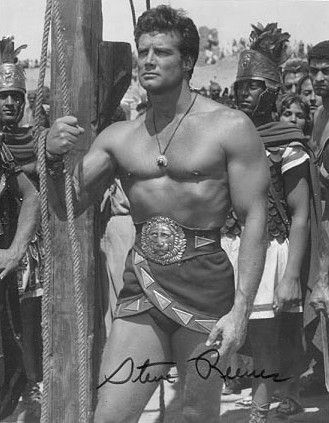 I love that Maciste's sandals have a stacked heel. Oh, honey, you wrangled those horses in heels! There are no words for this film. I love that "cute guys in underpants cinema" is a thing. How you long to pull those loincloths off! It looks like the whole thing was filmed on somebody's patio. I kept expecting to see the outdoor wet bar accidentally come into frame. Handsome face, beautiful body, great crotch!